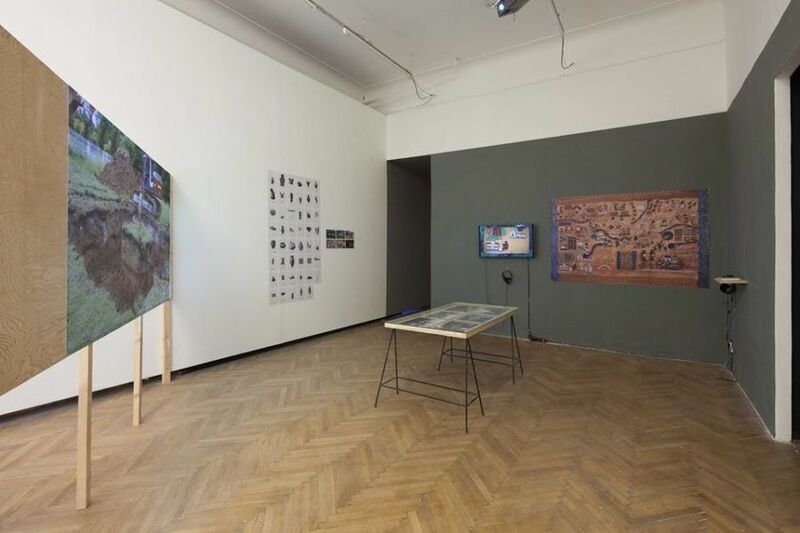 At the occasion of the exhibition The Shores of the World, presented at Display, Prague, in June 2018, curator and theoretician of contemporary art Karina Kottová (1984) discussed with the Guatemalan curator Pablo José Ramírez (1982) about the potentialities and limits of inter-regional and inter-linguistic conversations, both within and beyond this particular exhibition project. Karina Kottová: You are currently based in London, but you come from Guatemala. Those are quite diverse contexts. Do you manage bridge them –or do you even aim to bridge them– through your work? Pablo José Ramírez: I am not sure if I want to bridge them, I am rather trying to find different places where to engage in conversations. Not in a sense of neoliberal multicultural optimism though. The kind of conversation I am looking for is more of an awkward one. 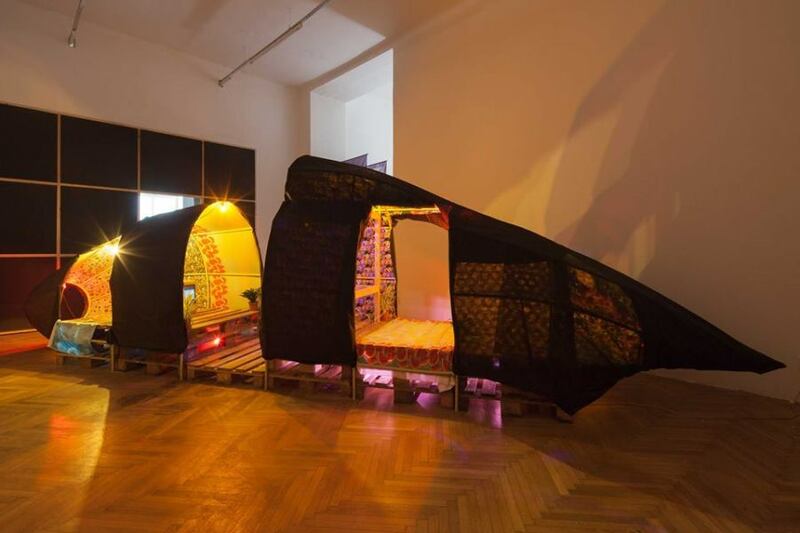 The nomadic way of working for curators means to become an agent of dialogue and translation. It also creates a possibility to build a more vulnerable discourse. Sometimes you need to look for antagonisms. KK: That brings us to your recent research at Goldsmith University. You’re focusing on pre-Hispanic, pre-colonial influences on contemporary art. How do you approach the conversation from the European context? PJR: Just a few days ago, I was looking at a great book on speculative realism published by the Prague-based organization Display. There was also a discussion in Berlin about ethno-futurism some weeks ago. Although this theoretical work -just to point an example- might have been born in Europe, from the beginning it was fed by non-Western approaches. One of the major recent works on speculative realism could be Cyclonopedia by the Iranian philosopher Reza Negrastani. Kodwo Eshun’s powerful and complex films and theoretical works are also informed by his British-Ghanaian origin. Influences travel in more complex and accelerated ways than before, sometimes to the point when it becomes impossible to unravel where and when the discourse actually started. The challenge is to figure out how can our research work escape from being completely institutionalized and self-referential. Curatorial practice means to me the possibility of an eternal return to a nomad way of thinking, in order to saturate theory and not the other way around. The particular project I’m developing is based in both theoretical research and my own curatorial experience. I am focusing on the ideas of silence and translation, trying to keep some distance from what can be labelled as the cliché of indigenous or Latin American contemporary art. As you know, this can get very stereotypical, and I also don’t feel really entitled to speak about it as a Mestizo –I’m myself a product of a clash of cultures and I would like to speak from that paradoxical place. I am trying to look into non-Western art practices through categories that could allow me to access them in a non-dichotomous way of thinking of colonial relations and its construction of meanings, where “the West” is not equal to Europe. My concerns are not as much geopolitical, as they are epistemological. 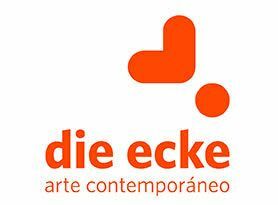 KK: Do you mostly work with artists from Southern and Central America or is it more geographically spanned? PJR: At the beginning it was mostly Latin American artists, but it has been shifting to a non-regional approach. If we want to work beyond dichotomies, it becomes an imperative to work on what I have called “planetary narratives”, while taking some distance from the vain and dangerous abstraction of the notion of “the global”, which is kidnapped by the spheres of finances and automatism. Planetary narratives are open post-identitarian discourses, they are permeable and vulnerable –not inscribed in regionalisms, but open to connections. KK: Who in your opinion has the right to discuss issues of underprivileged entities or contexts? You mentioned your own position of being somewhere in between. What does it mean to you when a white European artist discusses issues from other cultural discourses or spaces? Who is actually entitled to speak in this sense? PJR: You can find artists in Europe that deal with very interesting non-Western approaches. On the other hand, you can find some artistic attitudes at any part of the world that take this conceptual place as sort of tool, and that’s dangerous –empowering their own position and possibly subalterning others. There’s a thin line between talking on behalf and engaging in an actual conversation. If we are trying to build up a dialogue, it doesn’t matter if those speaking are from Central Europe, South East Asia or Central America –what actually matters is the entanglement thus created. More important than to ask ourselves who is entitled to speak is to think about the types of mechanisms used -the invisible technologies and power devices operating behind conversations between artists, institutions and contexts they are addressing. KK: It has been about ten minutes into our interview and we have managed not to mention the term postcolonial. It is a hot but possibly already outdated term, as we simply live in a postcolonial situation and we might not need to name it that way. Perhaps it turned into a label that is not really active anymore. What is your perspective on that? PJR: I try to be pretty aware of using that word rightly, because at some point it became a rhetorical category and its usage is not that simple. The postcolonial still means a lot, but theoretically it has been debated perhaps too much and within the same endogamic circles. I believe we can find ways of approaching the notion of postcolonial in terms of contemporary demands and through curatorial practice as well, but not necessarily building up on theoretical clichés. Let’s think about the very well-known essay by Gayatri Spivak Can the Subaltern Speak?. She suggested that the subaltern might not be able to speak by themselves, so there is a need for some kind of mediation, where intellectuals had a major role to play. But that happened more than 25 years ago and the notion of the subaltern has mutated and it is much more difficult to characterize as a subject. We should remember that this was an essential category to postcolonial/subaltern studies, which appeared as a field of study at the so called “third world” countries, as an alternative to the already receding discourse of orthodox Marxism and leftist social movements in the 70´s and 80´s. Today postcolonial theory is in a need of an in-depth confrontation with emergent disciplines and new realities. Of this reinvention will depend its capacity of counterbalancing the accelerated and ravenous neoliberal onslaught -in the field of art, an interesting debate is already taking place around all this. KK: Between 2011 and 2014 you were directing a non-profit institution in Guatemala, Ciudad de la Imaginación. What was the scope of its activities and how did you shape it in institutional terms? PJR: For me Ciudad de la Imaginación meant my very first institutional opportunity to build a radical approach towards contemporary art in the context of Central America, for several reasons. One is that we had money, from grants and such; that was important at that moment. The other thing is that we were outside the main centers of economic power and outside of the social dynamics of the capital. Quetzaltenango –the home of Ciudad de la Imaginación– is mostly a Mestizo and Indigenous-Kiche region. So at that point Ciudad meant for me the possibility of finding connections between the material Mayan culture and contemporary art. The chance of being in Ciudad also meant to be able to work on projects, which could modestly expand the limits of what we understand as the canon of the contemporary. 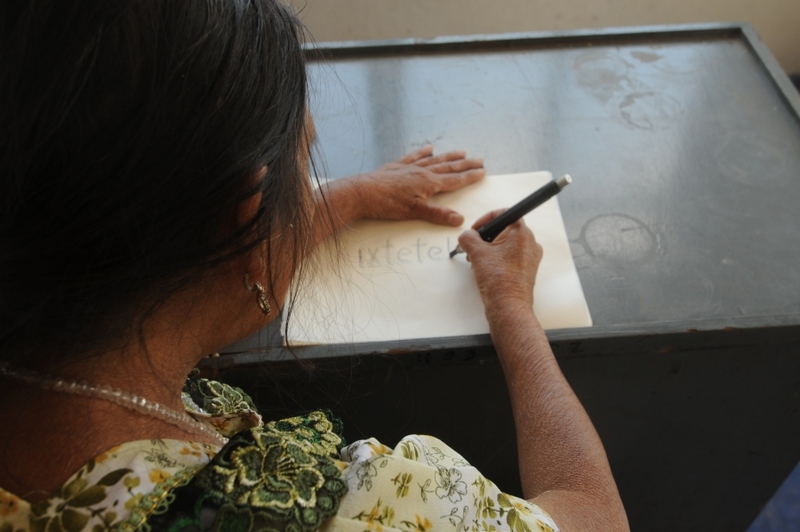 In many places like Guatemala there are a lot of contemporary aesthetic practices that don’t fit in the register of trendy visual arts, so one of the main duties for art institutions from those contexts –I suppose– would be to build on that situation. Those experiments were possible in Ciudad. We also essayed with institutional decentralization exercises: proposing, for instance, horizontal and rhizomatic structures; developing semi-autonomous or community leaded sectors of the institution; rethinking institutional policies in terms of competences and salary scale, so no one of the team would earn significantly more money than the rest. We had a great team. It was an exciting experience and we had a lot of fun. KK: You come from a political theory background; you didn’t study curating or art history. Looking into contemporary art institutions, what is your take on their political engagement? Do they have the capacity to become actual political actors, or does it always come down to just reflecting on engaged agendas? PJR: Art institutions have been going through radical changes over the last years. On the one hand, many museums don’t have the power and credibility they used to have, and on the other hand, non-profits are in a critical moment with the lack of resources and also in the need of reinventing themselves. They often employ more fluid type of projects. Rent and administrative costs get gradually more expensive, and so many places become nomadic. Some important discussions in the art field are being taken over not even by biennials, but by art fairs, which is delicate, of course. Nevertheless, I have seen many medium or small-scale museums that are trying to build new approaches to collections, new understandings of narratives which rescue liminal art histories, and also trying to engage in more complex ways with their communities. There is a certain necessity for transformation on all levels, which perhaps doesn’t stem from the crisis of art institutions, but rather a crisis of the entire system of production and consumption of art. If institutions don’t think themselves critically, they are on the risk of losing its political and poetical meaning, becoming accessories of official agendas or corporate instruments of consumption. KK: But even if they do reinvent themselves, do they have capacity for change outside of their walls, or outside of the art field? PJR: In most of the cases it would be a limited change –limited by constrains of corporate logic or public national agendas, which don’t leave much space for imagination. 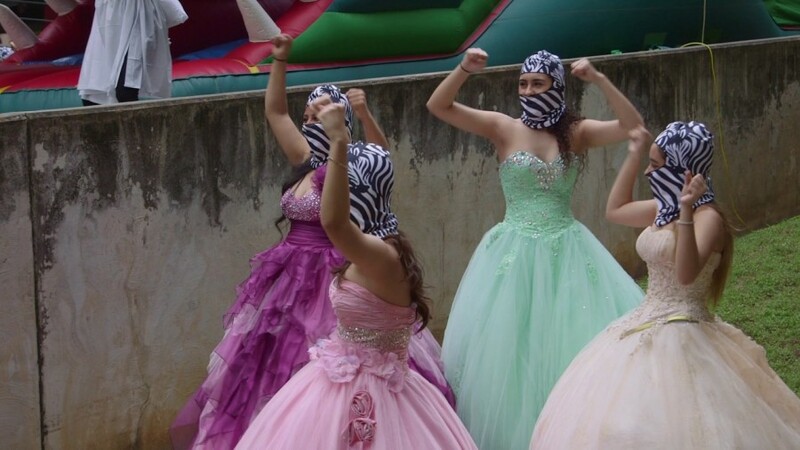 In my opinion, medium or small-scale institutions –whether they are based in London, Colombia or anywhere else– create grounds for the most radical movements. Those projects are much more meaningful for people and they are actually working in the gap between the public and the private. They are capable of building a sense of commonality. KK: Now looking into the Czech context –you came to Prague shortly a year ago through the Jindřich Chalupecký Society, and now you spent almost a month there working on your exhibition for Display. Given the areas of your interest, could you relate to local specificities? Did you find something particular to which you could link your activities? PJR: The Prague scene is a very dynamic and vibrant one, there are so many things happening, I couldn’t catch it all in few weeks. And of course, I am just talking about Prague, so any generalization would be problematic. 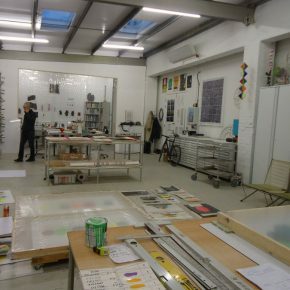 When I first came through the Jindřich Chalupecký Society, I did a lot of studio visits; currently, I’ve been trying to mostly see exhibitions and talk to people. There are some echoes to what I am currently working on, but there is also a huge distance in some cases. I have witnessed two main tendencies, one of which seems to be based in a more formal approach to contemporary art, at least in the “young art scene”. That’s neither good nor bad, it’s just what it is. It feels as if at this moment there was a kind of negation of discursiveness in art, which we could read as a symptom –a need for certain freedom from the restrictiveness of discursive projects, but also as a reaction to certain curatorial logic, perhaps? However, we must acknowledge that this detachment from discourse can in some cases trigger a non-political kind of cynicism. On the other hand, and thinking through a wider perspective, I must say that I was fascinated by seeing such an interesting approach to history and usage of art as a space for overcoming hegemonic political narratives. I am from Guatemala, a country that faced one of the longest, cruel and most devastating civil wars in Latin America. I am still finding it difficult not to revisit these topics in my work, in one way or another. War, of course, has left scars on me. Of course the horror of war and its consequences were tragic. However, another tragedy is the weight of those created hegemonic historical narratives, which somewhat imprison and corrupt the chance to imagine emancipated futures (we are constituted not only by our past, but also by our future). It seems that the Czech scene managed to employ quite an inventive and fearless attitude in this regard: How do we deal with archives and time? How do we think beyond the emptied postcolonial or post-communist narratives? And, what does art have to do with it? 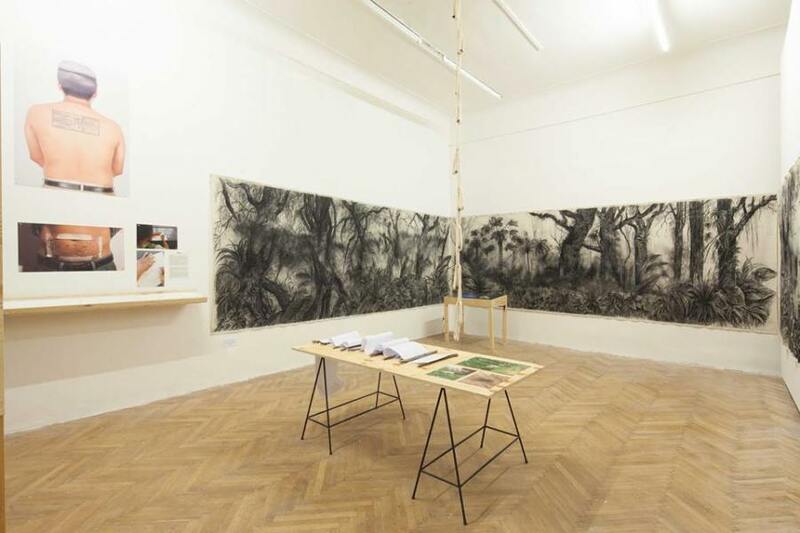 Many artists in the Czech Republic developed quite powerful and delirious answers to these questions, which have much to say not just within the local or regional art scene, but also in conversation with other similarly challenged regions of the world. KK: For your exhibition at Display, you were focusing on the topics that we already mentioned –language and its possibilities and impossibilities, language and translation as a form of engagement. You were predominantly working with artists from either South or Central America. How did you approach this exhibition in terms of showing it in this particular context and avoiding for it to look somewhat exotic or stereotyping? PJR: I was thinking about that, of course. Though I’m not sure if it’s that bad –this exotic thing. Also the idea of fetish -why is it so bad? Can we actually think on an alienated object that can tell us something meaningful? Following that logic, I think that the problem with exotization is that it often comes down to a merely spectacular approach to culture and the observation of persons or artifacts as mere objects of desire. I think it’s hard to avoid the exotic, especially in art from such different worlds. But perhaps we can rather think of a certain form of ironic exoticism. Non-Western art is indeed among the current trends –if you look at the last Venice Biennale or the dOCUMENTA in Kassel, each time they are including more and more indigenous artists and sometimes in quite a problematic way. What I tried to do in the show at Display –and I don’t know if it worked– was to take some distance from politics of identity and the notion of the indigenous as Otherness. From 12 artists exhibited at Display just four came from an indigenous world, for instance, and yes, more than a half comes from Latin America. I believe that one of the main challenges for curatorial practice is to sabotage any kind of politics of representation around countries or regions. In the case of The Shores of the World, I tried to think of an exhibition that works from within language (as a planetary matter). I placed, for instance, a work from Finish artist Terike Haapoja, which is based on non-human language and fiction, next to Benvenuto Chavajay’s work on Tuztuhi´l-Mayan language and writing as a performative exercise. What these explorations have in common might be as powerful as their differences, and this is what I mean when I think of inter-linguistic politics. 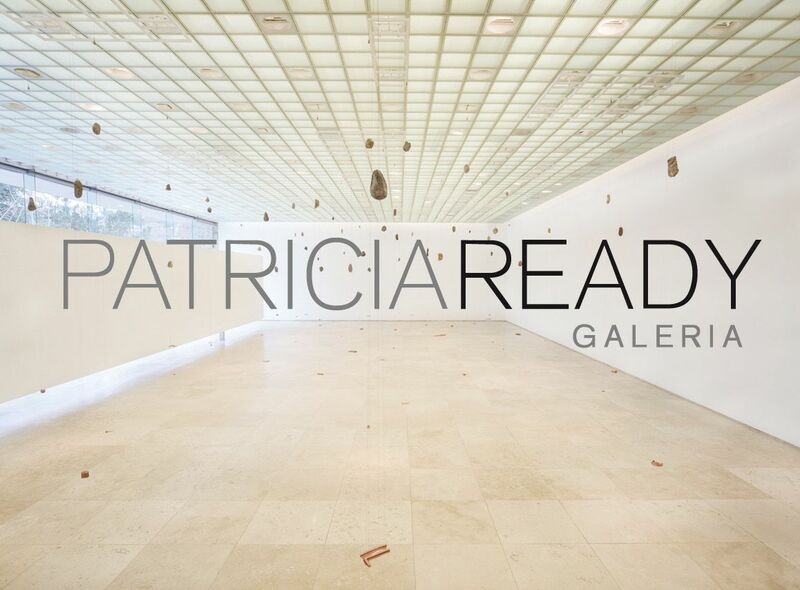 KK: In your text accompanying the exhibition you refer to language as a kind of a battlefield. In terms of practice, projects and possibilities, how can we use language in the artistic discourse? Is it a weapon or even a possible tool for restoring peace? PJR: In the text for the show, there is a reference to the national anthem of the United States. More than a decade ago, at a public demonstration, a group of Latin American immigrants and Chicano communities performed a fierce gesture of protest: they sang the US national anthem in Spanish. It was the same anthem, but translated into a language that is spoken by at least 18% of the North American population today. The anthem really became a battlefield of languages in this case. Following the event, the then-president of the US, George W. Bush, said at a press conference that the US national anthem should only to be sung in English. My question would be: why something as simple as using one language or another becomes so problematic? What was being challenged and doubted when those Latino communities were singing the anthem? Language has always been inscribed in a system of colonial hierarchies. You can speak Czech, Slovakian, English or Russian and say the same sentence, but it will always mean something different. It will also be heard with different levels of attention and reception. Words are loaded with weight, texture and power. To use language is, in one hand, the only way we get to communicate with other beings, but on the other hand it’s a huge barrier. Using the dominant language so often links to xenophobia and racism. Silence for me would be something similar to inter-linguistic politics. It also happens to be a way of communication for many non-Western cultures. 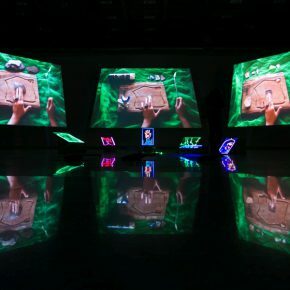 At the exhibition at Display, some works were based on the notion of silence, as Reyes Josue Morales´s video, in which his mother draws on a wall using fire. She creates a visual memory of her childhood at a rural community. 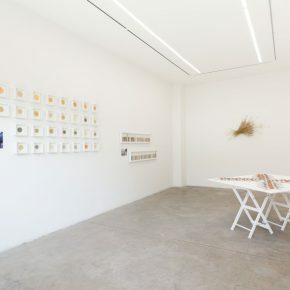 Another example could be Guadalupe Maravilla, whose work included in the exhibition refers to what in my opinion is something close to post-identity performative practices, in this case, coming from his experience as an immigrant in the US -his work is full of silences, despite its saturation of sound. When I speak of silence, I think on certain necessary untranslatability; the space full of meaning between words; between one language and other –silence is not the absence of sound or discourse, it is somehow its counterpart. * This interview was originally published in Czech on the website http://artalk.cz/. We thank the authors for authorizing their republication in Artishock in their English and Spanish versions. ** Featured image: Pablo José Ramírez during a talk at Display. Courtesy: Jindrich Chalupecky Society. Karina Kottová (*1984) is a curator and theoretician of contemporary art based in Prague, Czech Republic. Currently she is a director of the Jindřich Chalupecký Society. Her previous affiliations include MeetFactory international center for contemporary art (2012-15), DOX Centre for Contemporary Art (2009-12) and Museum Kampa (2007-2009). 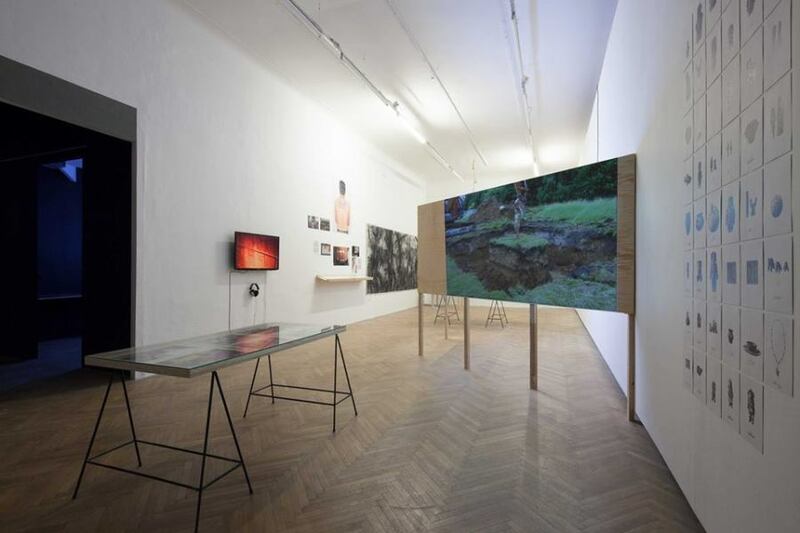 Among projects she established and co-established are INI Project, an independent process-oriented project space, the Věra Jirousová Award for art critics, or UMA Audioguide. Kottová earned a BA in Humanities from the Charles University in Prague, Czech Republic and an MA in Art and Heritage: Policy, Management and Education from Universiteit Maastricht, the Netherlands. In 2015 she defended her PhD thesis on “The Institution and the Viewer” in at Masaryk University in Brno, Czech Republic. In 2012 she was a Fulbright-Masaryk scholar affiliated with the Elizabeth Foundation for the Arts, New York. She is interested in the psychological and emotional impact of current socio-political challenges as well as feminist theory and the subversive potential of the so-called “feminine” qualities, such as empathy, irrationality or intuition. 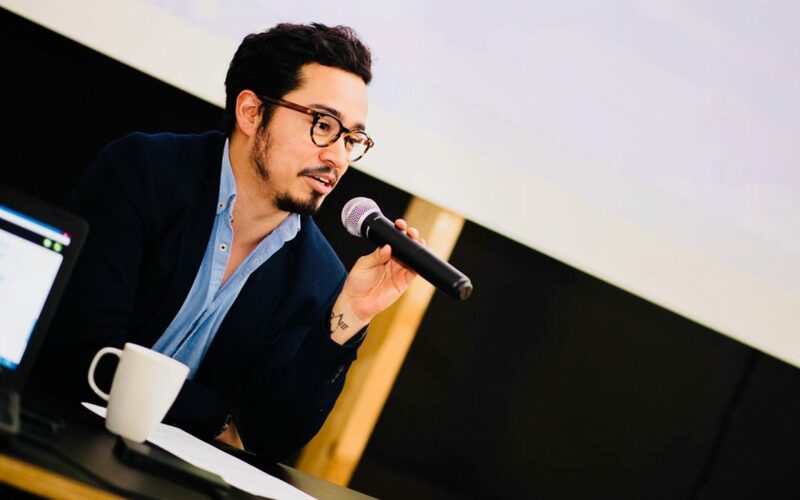 Pablo José Ramírez (1982) is a curator, theorist and art writer living between Guatemala and London. He has published extensively in catalogues, books and magazines; including research articles for Coleccion Patricia Phelps de Cisneros; Re-Visiones, Miami Rail, Atlantica, Harvard University among others. His work explores contemporary art as a potentiality in postcolonial contexts, understanding it throughout the manifestations of material culture, time and linguistic operations such as translation and silence. He is also interested in curatorial practice as a platform for transcultural dialogue and non-disciplinary knowledge production. Ramirez was the Director & Chief Curator at Ciudad de la Imaginación in Guatemala (2010-14). Following that, he has been working internationally as independent curator, developing exhibitions for institutions such as the CCA (Center for Contemporary Arts ) in Glasgow and The New School & Parsons in New York. 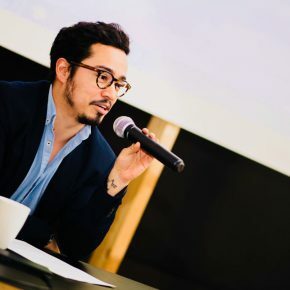 He was Co-curator of the 19th Bienal de Arte Paiz and was Co-curator of the long term research and curatorial project Guatemala Después, which concluded with a publication, a digital collection and an exhibition at The Sheila C. Johnson Design Center in New York.